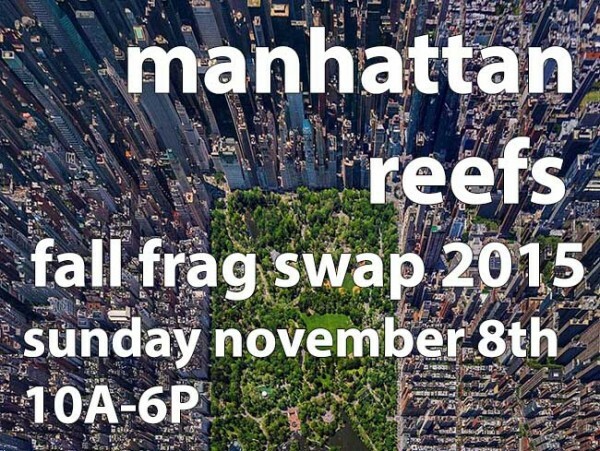 The Manhattan Reefs Fall Frag Swap is just a few short weeks away and as usual the planning is in full gear. We’re expecting a packed house as usual, so if you have not already bought a ticket, you need to do so HERE before they are all sold out. All of your favorite vendors will be onsite and we’ve got some great speakers and presentations lined up. As always, price includes a catered lunch and a free frag for all first time attendees (Manhattan Reefs forum members only).